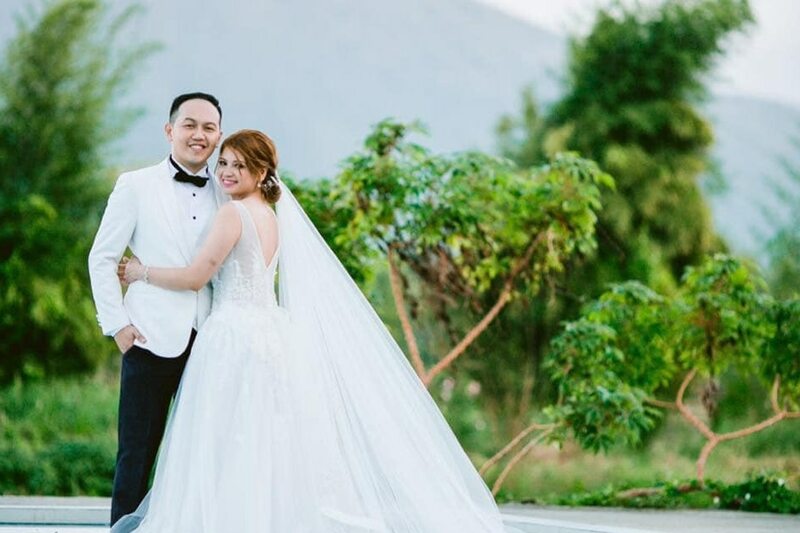 MANILA - (3RD UPDATE) High-school sweethearts Leomer and Erika Joyce Lagradilla tied the knot in front of friends and families as 2018 drew to a close, sealing the deal after more than a decade of being a couple. Leomer and Erika were both nurses by profession, but their jobs brought them to separate parts of Asia--Singapore and Riyadh, respectively. On January 11, they ticked off Maldives from their bucket list of destinations when they headed there for their honeymoon. The island had been their dream for a long time, Mhapolle, Leomer's sister, told ABS-CBN News in an interview over a messaging service. Unfortunately, it was also in this tropical paradise that they met their demise. The family has yet to find out the exact details of their death, Mhapolle said. Local news agency RaajjeMV reported on Sunday that a certain couple drowned in Dhiffushi island of Kaafu atoll. They were pronounced dead upon arrival at the hospital, a report quoting the Maldives Police Service as saying. The incident happened while they were snorkeling, said the Department of Foreign Affairs (DFA), which extended its sympathies to the bereaved and assured assistance in the repatriation of the couple's remains. A source from the island told the news agency that the then-unidentified man drowned first, then the woman sought help. "However, by the time someone had reached them on a dinghy, they were both motionless, afloat on the surface of the water," the report read. In a separate interview on DZMM Teleradyo, Mhapolle said they have yet to receive any information from the hotel where the couple stayed. "'Yung sa Maldives po, sa resort po. Kasi, actually kahapon, kagabi pa po, tinatanong namin kung paano nangyari, wala pa po silang mabigay na full details kung paano po nalunod si Kuya at si Ate," she said. "As of now, wala pa pong nagme-message sa akin from the hotel kung ano po talaga 'yung insidenteng nangyari," Mhapolle added. Mhapolle remembers her brother and her sister-in-law as "amazing" and "down to earth" people. Hailing from Lumban and Sta. Cruz towns in Laguna, respectively, the two were responsible eldest children who were also their families' breadwinner. She also said Maldives was not the couple's first destination in mind for their honeymoon, but Erika's application for a tourist visa in Japan was not granted. "Actually, ang first destination po nila is sa Japan po, pero hindi po naapprove ang visa ni Ate Erika, so they planned po another destination, 'yun pong Maldives," Mhapolle said. On Tuesday, Leomer and Erika's family and friends have closed their fundraising campaign after DFA said it will shoulder the repatriation costs. They initially sought to collect over a million pesos, or P634,000 for each body, to bring the remains home. "We are beyond grateful and happy that Eka and Mer can finally rest having their loved ones around them. Salamat Sec Locsin!," the couple's friend Nikko Quiogue wrote in an update to his original post for the donation call-out. "We thank each and everyone who have joined their journey back home. As their best friends, we are deeply touched and thankful for the support you have given them. Binuhay natin ang diwa ng bayanihan at pagtutulungan. Walang hanggang pasasalamat!"